All queries to be directed to Nuttakrit at the address below. 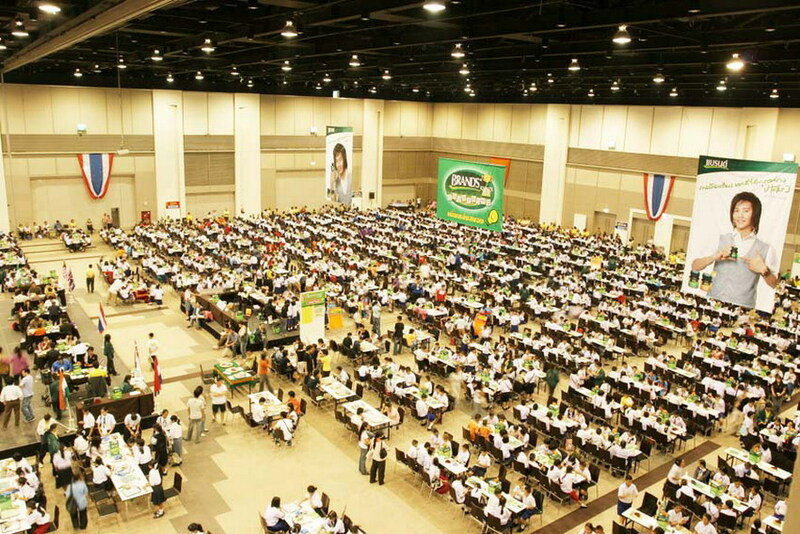 We are pleased to invite you to participate in one of the world's most exciting and challenging event of the year, the 23nd BRAND'S Thailand International Crossword Game King's Cup 2008 , which will be held from June 26th - 27th, 2008 at Siam Discovery Center, Bangkok, and from June 28th ? 29th at Royal Paragon Hall, Siam Paragon Shopping Complex, with the winner's prize of USD 6,000. We wish to see you in this wonderful 23th year of Crossword Game in Thailand and be a part of our greatest history together. This spectacular event will bring you to the world of real sport competition with an exciting and challenging atmosphere. Let's join us! We are planning to set up this event to be the most memorable and enjoyable tournament ever. Each player (except the winner and the 2nd place-getter) will receive 50 Baht for every winning game on June 26-27 and receive 100 Baht for every winning game on June 28-29. - The above prizes will be given only to the players who have played all 27 rounds completely. - The Winner and the 1st Runner-up of the tournament are not legible for the Bonus Prize as well as the Super Bonus Prize. - The Winner, the 1st Runner-up and the 2nd Runner-up of the regular tournament system are not legible for Handicap Result Prize. - The prizes will be awarded at the end of the tournament. - Everyone who receives the total prize money of over 1,000 Baht during the tournament is subject to paying a 5% withholding tax. USD120 (including Reception Party & 2 days Coffee Break) For those who has confirmed and sent in their application forms by May 26, 2008. ** Those who send in their application forms between May 27-June 12, 2008, must pay another additional fee of USD10. List of all 2 & 3-letter words and their inflected forms provided for each player to look at during the game. Single Challenge applied. Free challenge, a player does not lose his turn when he challenges the acceptable word(s). Self-checking method, a player and his/her opponent will take a look at challenged word(s) at computer provided. - 27 games in total. - Game 1-24 will base on Swiss pairing system. - Game 25-27 will base on King-of-the-Hill pairing system. Then after game 27, the top two players play the final. - The two finalists go to final with special rule: They have to play two games. If one of them wins both games, then that player will be the winner. But if they tie with a win and a loss, the third game will be played. The winner, in this case, is the one who scores the most when combining scores from three games. Remark: The Gibson's rule will be applied, in case, there is a player who has won enough games to guarantee 1st place or a seat in the finals, no matter how many games s/he loses thereafter. ==The Pathumwan Princess Hotel (4.5 stars hotel) offers the rate of 3,100++ Baht/ night for a single room and 3,400++ Baht / night for a twin or double room. Note: The above rates include American breakfast, free use of fitness center, etc. ==Siam@Siam Boutique Hotel (4.5 stars hotel) offers the rate of 3,350++ Baht/ night for a single room and 3,550++ Baht / night for a twin or double room. ==Asia Hotel (3 stars, 10 minute walking) offers the rate of 2,100 Baht net / night for a single room and 2,300 Baht net / night for a twin or double room. Note: The above rates include American Breakfast. ==The Reno Hotel ( 2.5 stars, 5-minute walking) offers the rate of 1,180 Baht net per night for a twin-sharing room with TV and safe. Send us your info about the below topics as well as your recent 1-inch photograph (2 copies) at the above-mentioned address. (you may send them via snail mail, email or fax as your choices) For the photographs, you may attach with you email. 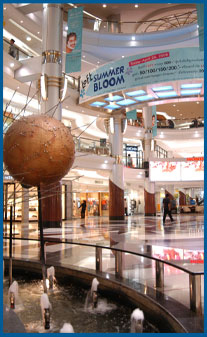 The largest shopping complex in South East Asia, located in the heart of Bangkok covering 21 acres of land. 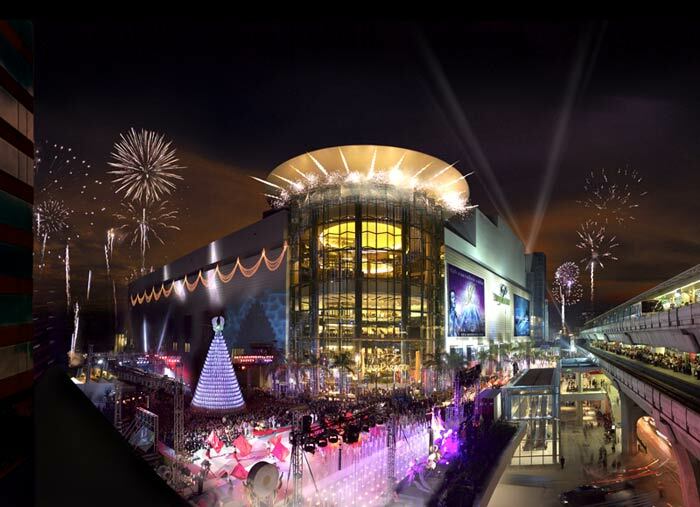 Siam Paragon effectively enhances Bangkok as a world-class destination for a supreme shopping and entertainment experience. With the area of approximately 7,000 sq.m., the Royal Paragon Hall has a capacity for over 10,000 attendants. This will surely give us privacy and convenience for our biggest annual tournament. 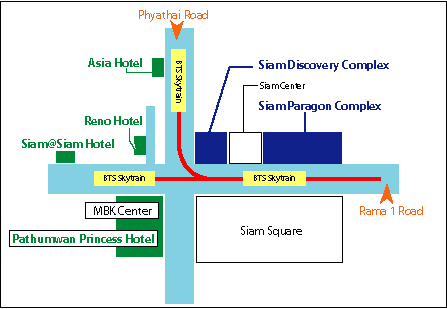 Siam Discovery is the trendy lifestyle shopping center and office building located in-line with Siam Center and Siam Paragon. Some words from whom who'd experienced the event.